Be first in line and register now for your favorites, like Zumba and Archery AND save on registration! Save 15% November 26 - December 2, 2012 on Wylie Recreation Activities during Early Bird Online Registration. 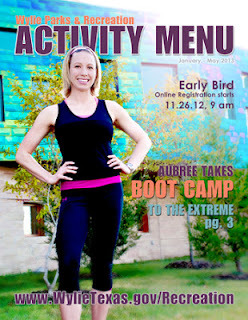 Standard Registration online or in person begins Monday, December 3, 2012 at 9 am and runs until courses are full. Don't miss out on FREE Course Demo week, Monday, November 26 - December 2, 2012.